After a very busy holiday season, we are shutting down Santa's workshop and taking a couple weeks off for ourselves. We're back in the studio January 6th and will be shipping all orders received between now and then on January 8th unless otherwise notified. Thanks again for another exciting year. Here's to 2014! 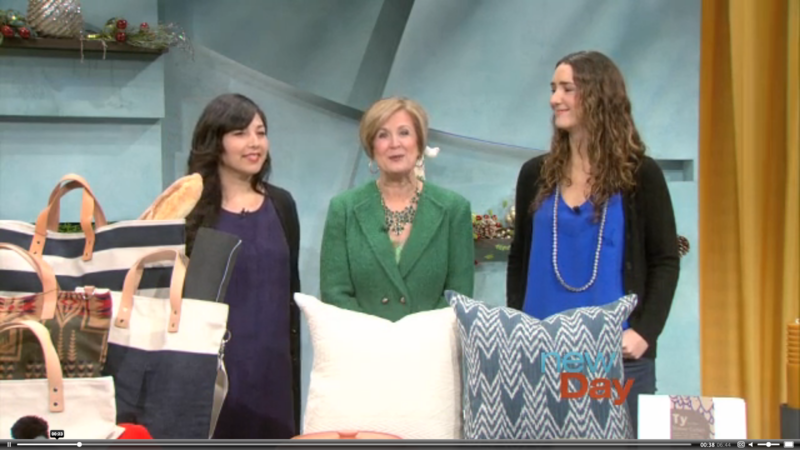 Chelsea and Christa, of Blk Pine Workshop, promote the Shop Small Pop-Up on King 5's New Day Northwest. Here's a clip if you want to be amazed. If you can't make it to Seattle this weekend, above and below are a few pics from our Shop Small Pop-Up at 55 University Street and Western Avenue. 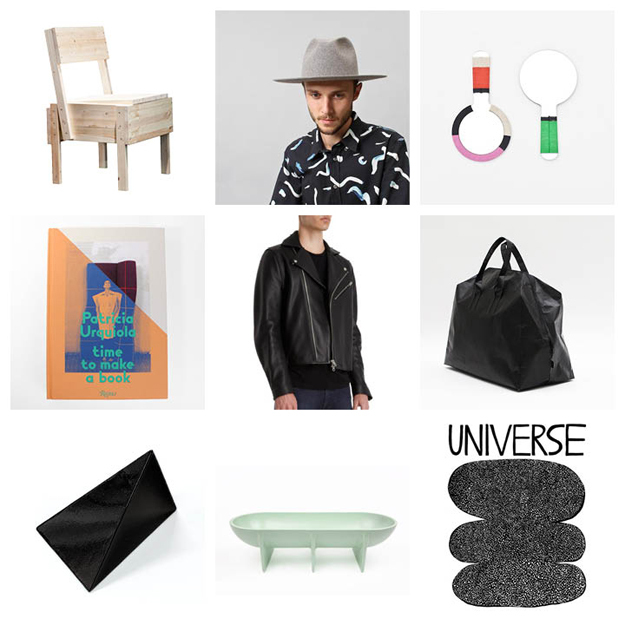 We be there until December 23rd (10:00 am - 7:00 pm) along with our friends from Ladies & Gentlemen Studio, Blk Pine Workshop, fruitsuper, Piano Nobile, Sarah Loertscher, Jessalin Beutler, Ampersand As Apostrophe, and more. Last minute gifts abound! 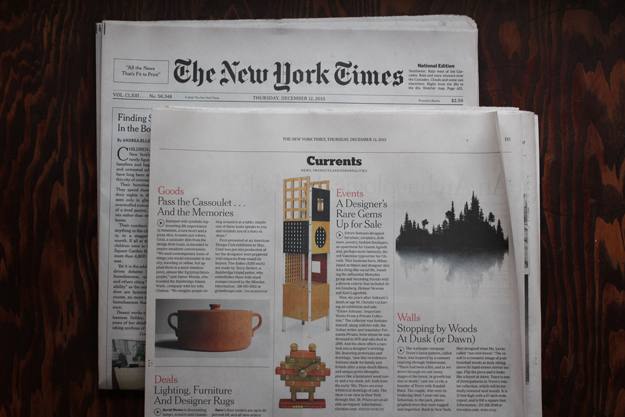 In case you missed it, our cassoulet made it's debut in The New York Times last week! Huge thanks to Tim McKeough for the thoughtful write-up. Above and below are a few pics from last months Friendsgiving getaway to Samish Island, WA. The trip included some hiking (a view from Oyster Dome above) and a lot of feasting. Dungeness crabs, manillas from Samish Bay, and scallops cooked on a salt block all made the weekend rotation. In case you didn't know what to get us, we've put together our very own holiday wish list. Above are Ryland's wishes. Below are compilations by James, Chelsea and Vanessa. Fingers crossed! We are a few weeks late on the announcement, but excited nonetheless to introduce our two newest staff members: Ryland Quillen and Vanessa Lang. We first met Vanessa when she worked at the Frye Art Museum store. She comes to us (like both Willis and Claire) from Evergreen where she studied printmaking. She will be taking over as our new Studio Manager as Willis takes over New York. Ryland is our first ever Design and Production Assistant. He studied furniture at Savannah College of Art and Design and originally moved west to intern for our friends at Iacoli & McAllister. To learn more about this two (i.e. cats, Kauai, Bhutan, Dolly Parton), below is the result of their interview of each other from the ferry this morning.